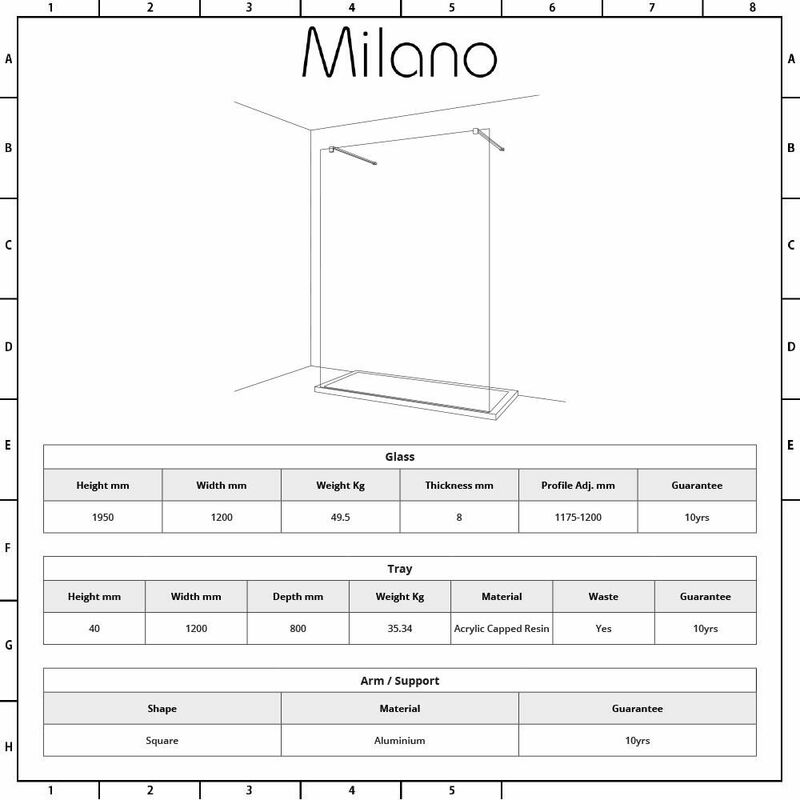 Create a sleek, modern look with the Milano 1200x800mm walk in shower. 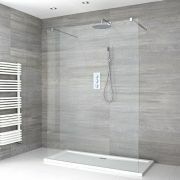 Providing easy access, this walk in shower includes a 1200mm glass panel and 1200x800mm low profile shower tray. Measuring 1950mm in height to catch more splashes, the glass panel features an easy clean protective coating and a chrome profile that blends seamlessly in with any bathroom décor. 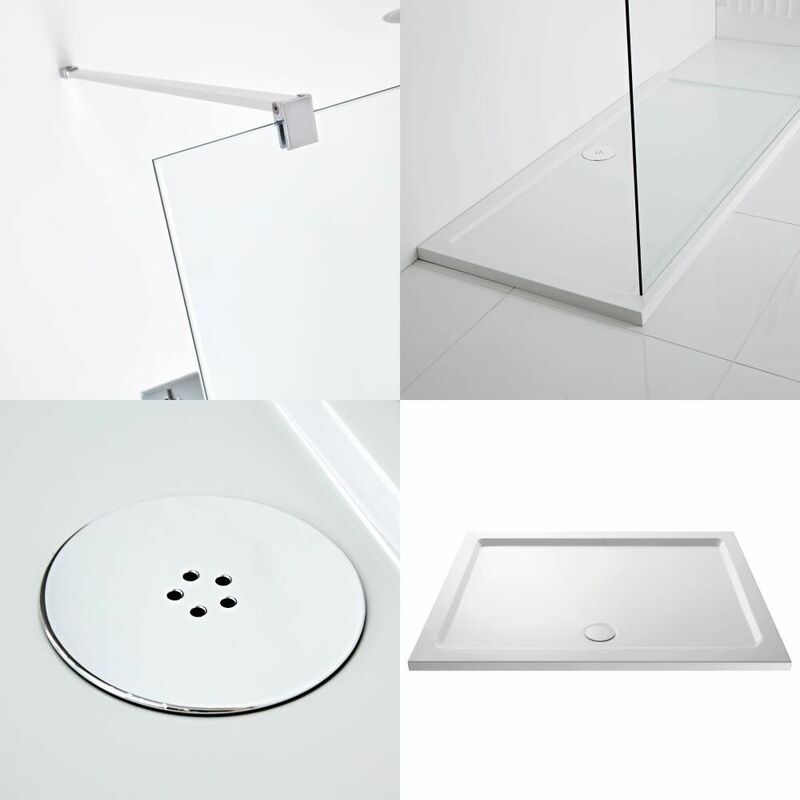 The lightweight yet durable Pearlstone shower tray weighs up to 50% less than a stone resin tray to ensure safer and easier handling during installation. Premium glass thickness for a luxury feel. 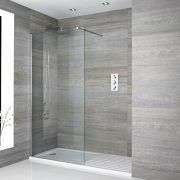 8mm glass is highly durable, safe and the perfect thickness for wetrooms and walk in shower enclosures. 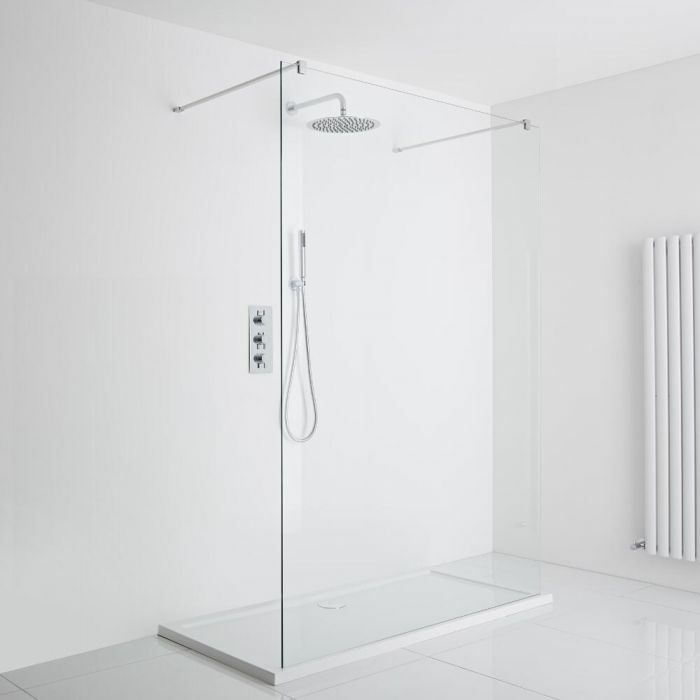 All glass panels feature an easy clean protective coating to protect against dirt, grime and soap scum. 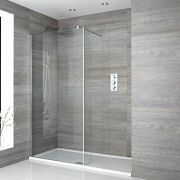 Each glass panel measures 1950mm in height to catch more splashes. The extra height is also ideal for those who are taller. Extremely robust and durable aluminium arms and profiles available in a range of attractive finishes including chrome, black and white to blend in with any bathroom décor. 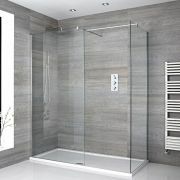 Glass panels can be fitted so the entrance to your shower is on the left or right hand side, and to suit the design of your bathroom.